Actually, this is a treat Phillip Phillips, the 21-year-old pawnshop worker whose father kept a gun on his person during his son’s homecoming segment, has provided us during the entire season. From the weird foot curl to the hiked-up guitar, Phillips has basically spent the entire run performing the never-released Dave Matthews cover album, which has been a unique adventure. Lessons learned: Matthews (er, Phillips) sounds great covering Billy Joel, Damien Rice and Bob Seger, and terrible covering The Zombies and Queen. Someone just needs to make sure that Phillip and the real Dave Matthews never are in the same room, because it would probably disrupt the time/space continuum, kind of like how Doc Brown warned Michael J. Fox to never meet his “future” self in Back to the Future. My track record for picking American Idol winners has always been moderate-to-decent, until last year, when I knew that Scotty the country flautist had this one in the bag as soon as he wooed the judges by singing in his signature opposite-of-a-dog whistle baritone. I called that one from day one. This year, my bet was on pride of Nashville Colton Dixon: I thought he played what everyone is calling the “White Boy with a Guitar” trend better (ok, so he plays piano, small details), actually exuding some stage presence, suitably skinny rock star legs and voice perfect for the same Fray-esque songs that have been allotted to past winners. Joshua was my favorite, but I knew he’d go before the final showdown. Phillip? Cute, could he really win? Nah. I should have known – Dave Matthews does seem to sell a lot of concert tickets. So why did Phillips take the crown? Sure, you could chock it up to the WBWAG syndrome, or to the fact that Dave Matthews Band has not released an album since 2009, and everyone thought this would just be the closest thing –I mean, holograms are big right now. It could also be due in part to the fact that the judges never actually judge anything at all, which is both extremely boring and a disservice to the contestants. Most interestingly, it’s about the song. While Sanchez, who had a technically better voice though appeared as a rather precocious one-trick pony, sang something called “Change Nothing” (I say “something” because I’m not sure what that was could technically be called a song. I don’t even think it had a chorus. Did it? Anyway, she should have changed everything, not nothing, about that tune), Phillips was gifted with a Mumford & Sons/Coldplay/Head and the Heart inspired anthem called “Home.” Despite the fact that Jennifer Lopez attempted to judge it by saying “this is like nothing on the radio right now!” it is actually the first “coronation song” to ever actually sound like something on the radio. And I mean like something on the radio in 2012, not 1993. In other words, it’s probably the first time that American Idol stopped thinking its viewers are stupid. “Home,” written by Drew Pearson and Greg Holden, was, according to the Hollywood Reporter, pitched to Jimmy Iovine after Holden decided not to record it, and was inspired by Mumford and Arcade Fire. It has all the elements of a current hit: British folksiness, anthemic marching-band-ness, rootsy singalong. When America voted, for the first time in Idol history, I’d bet they were voting on this song. Because audiences aren’t dumb or tasteless: they just aren’t given enough choice. And for the first time in my history, I actually found myself humming an American Idol single this morning while making coffee. Phillips or no Phillips, the fact that he won pointed out one small but indelible fact: it’s not really all about the voice. It’s about the song, too. Phillips got lucky with a pretty good one, but that’s not only limited to American Idol, and it doesn’t mean he’ll have a career (e.g. anyone know what happened to The Proclaimers?). 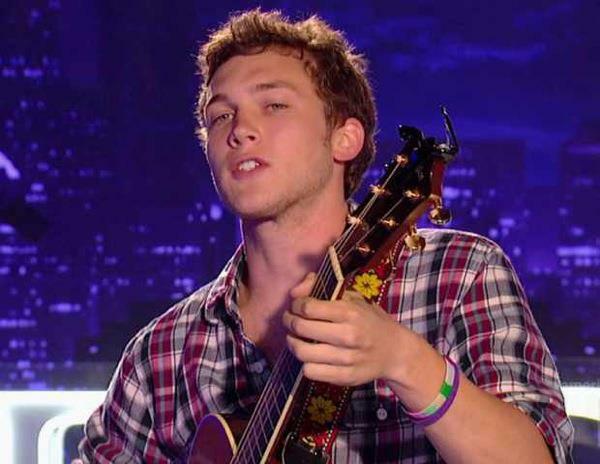 If American Idol wants to raise their ratings next year, they’ll learn from the ballad of Phillip Phillips: people don’t just like voices, they like good, current melodies. They like songs, and they like style, and they’ll choose it if given the opportunity. They like things to feel modern, and they don’t like being lied to or taken for granted. And, um, I guess they really, really like Dave Matthews.